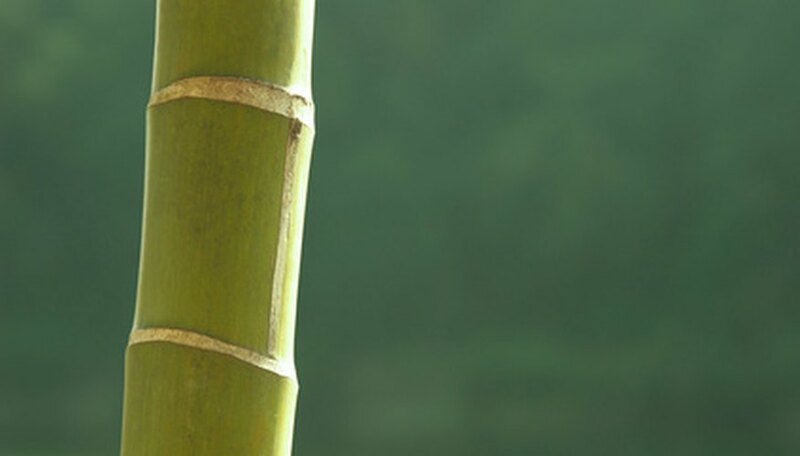 Healthy bamboo stalks are a nice, vibrant green. Once your stalk starts to yellow or brown, it means, unfortunately, that it's too late for your plant. It's important to trim dead bamboo stalks from your arrangement because roots of dead stalks can rot in their water and lead to root rot in surrounding stalks. To keep your arrangement healthy, you'll need to trim away the dead stalk and also remove its roots. It's also a good time to do a full water change. Remove any ribbons or ties you have holding your arrangement together. Bamboo clusters are often tightly bunched with traditional red ribbons. Use sharp scissors to clip away the brown stalk from about 1 inch above the root base and discard. Take extra care not to clip or scrape the surrounding stalks. Replace the ribbon or tie that was holding your arrangement together (optional, but often helps things stay together). Move your planter to the sink. Lift the arrangement out of its container carefully, and shake off any rocks or pebbles that stick to the root system. Set aside on a counter top or into a bowl. Rinse the anchoring medium and the container to flush away bacteria left behind by the dead stalk's root structure. Pour the anchoring material into a separate container to make room for the remaining healthy stalks to be returned to their container. Locate the remaining 1 inch of dead stalk and its attached root structure. Work very gently with your fingers to detach the dead stalk's roots from the bamboo plant cluster. It's okay to break and tear the dead plant's roots, but be careful not to damage the roots of the live plants. When you've removed the dead stalk's roots, discard them. Rearrange your stalk's arrangement or add a new stalk to replace the dead one if necessary. Adjust the ribbon or tie if needed. Rinse the roots of your cluster gently in room temperature water to free any additional dead roots and to rinse away bacteria or excess algae. Place the bamboo plants back into their container. Add the clean anchoring medium on top of the roots to hold the cluster in place. Refill with room temperature filtered water, and place it back in its location.